Well everyone, our short trip to Tokyo has come to an end. We are now in Guangzhou, China visiting my companion’s relatives. Since pretty much everything Internet-related is banned here in China (even Word Press), I’m not sure I’ll have much opportunities to post regular entries. So, I’ve decided to just wrap up my series of Tokyo travel entries with a photo highlight reel of our last days in the land of the rising sun. 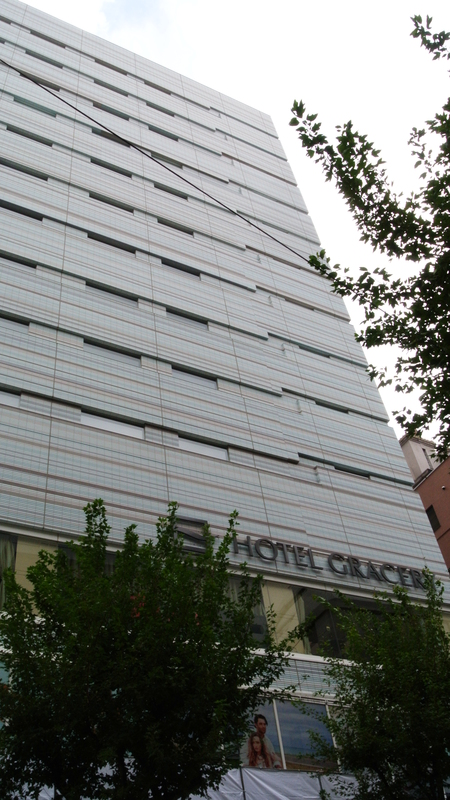 We got to experience a lot of different architecture, like this Hotel Gracer with it’s amazing striped façade. 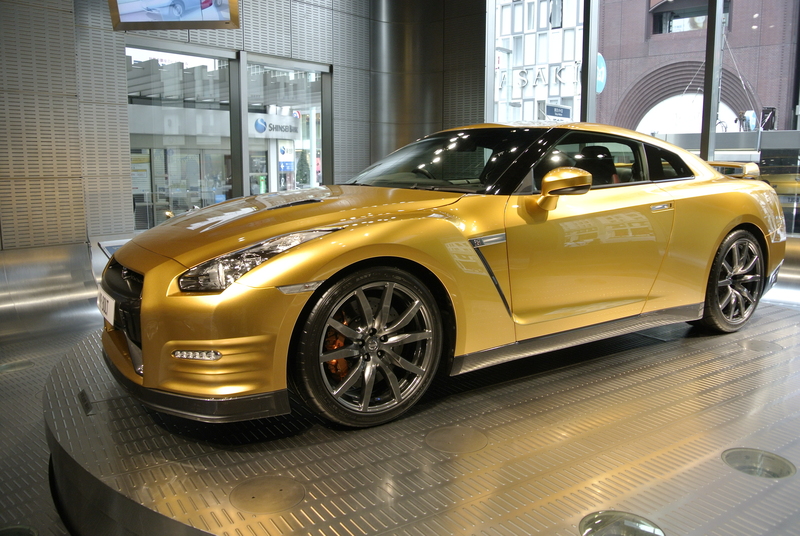 Stopped by the Nissan showroom in Ginza & got to see this custom-made GTR designed specially for Olympic Track & Field gold medalist Usain Bolt. A common ritual whenever I visit Tokyo is to have an afternoon cake set. 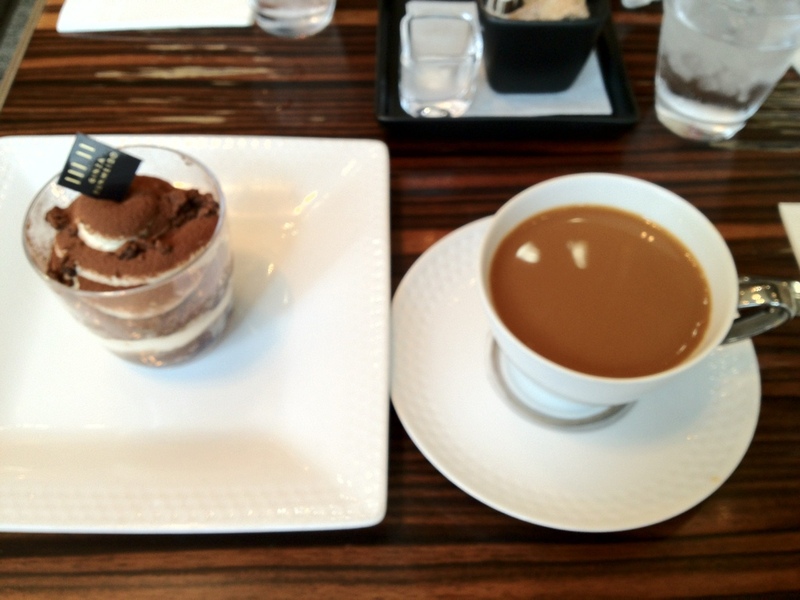 In this picture, I had a tiramisu cake with a drip coffee. 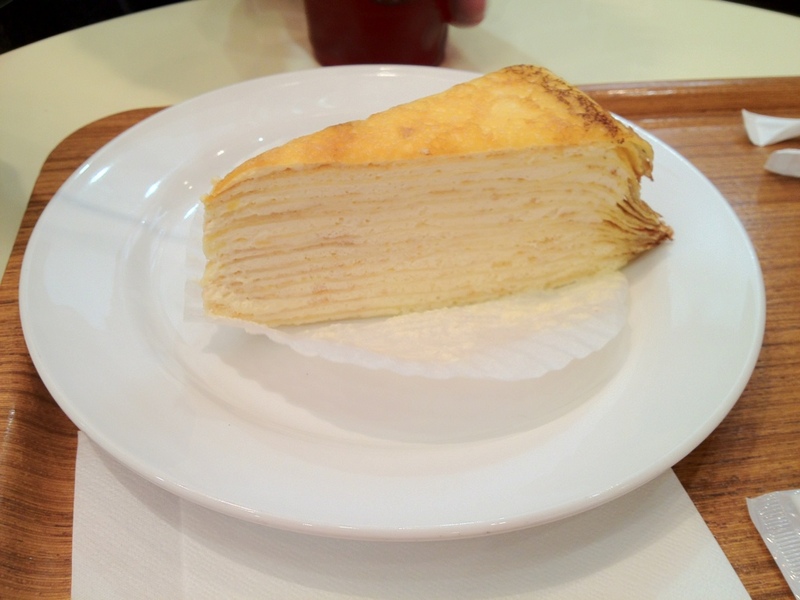 My must-have food while in Tokyo is the famous Mille Crêpe cake. I can never get enough of this cake, & I never miss an opportunity to have a slice (or two, or three). 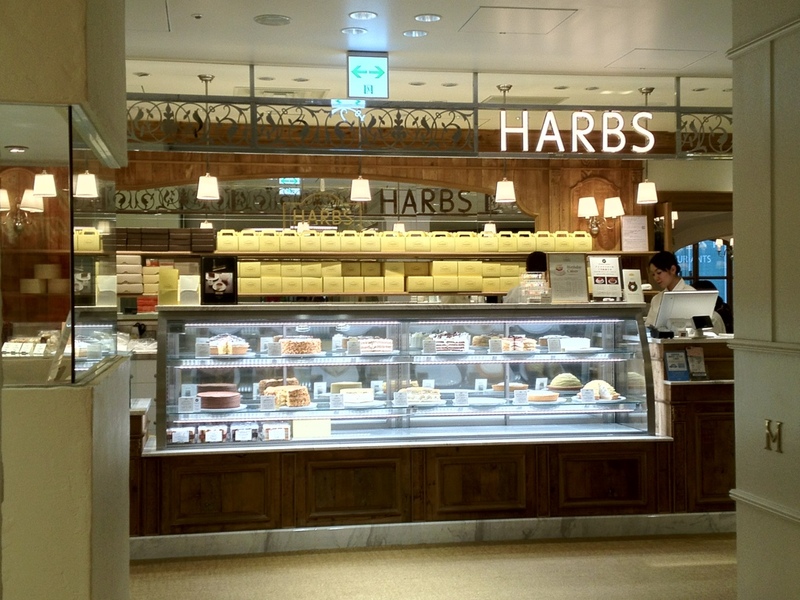 Speaking of cake, I finally got to try the very famous HARBS cafe. What a delight!! 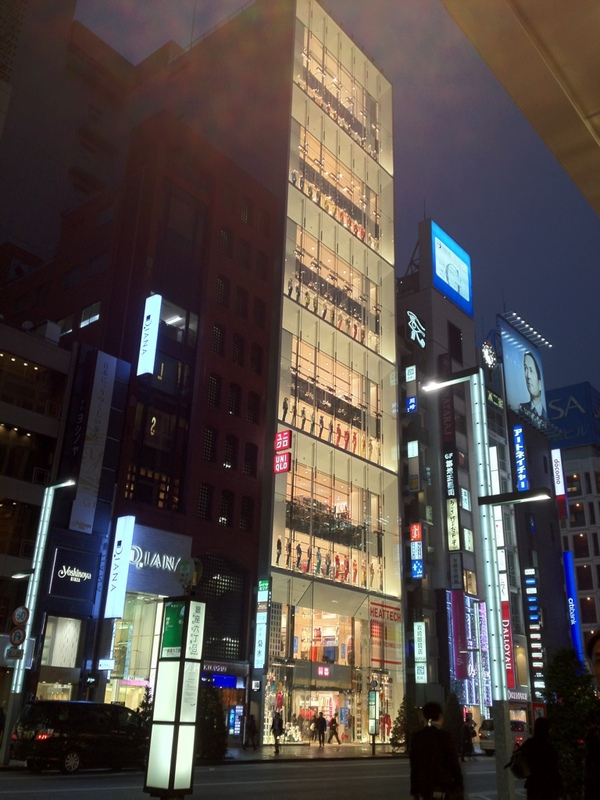 This picture was taken at the Lumine 2 shopping mall in Ginza. 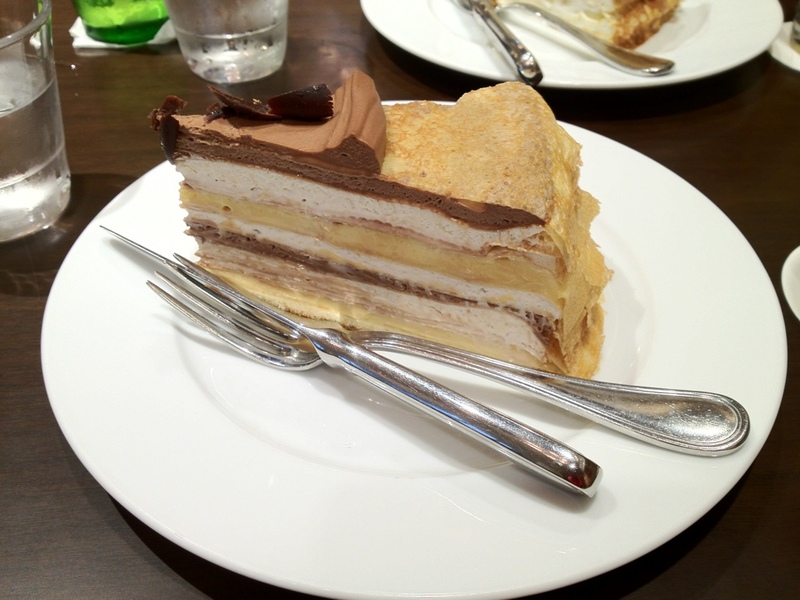 I tried their Crêpe a La Carte cake with layers of chocolate, custard & whipped cream filling. The slices were huge…just the way I like it. 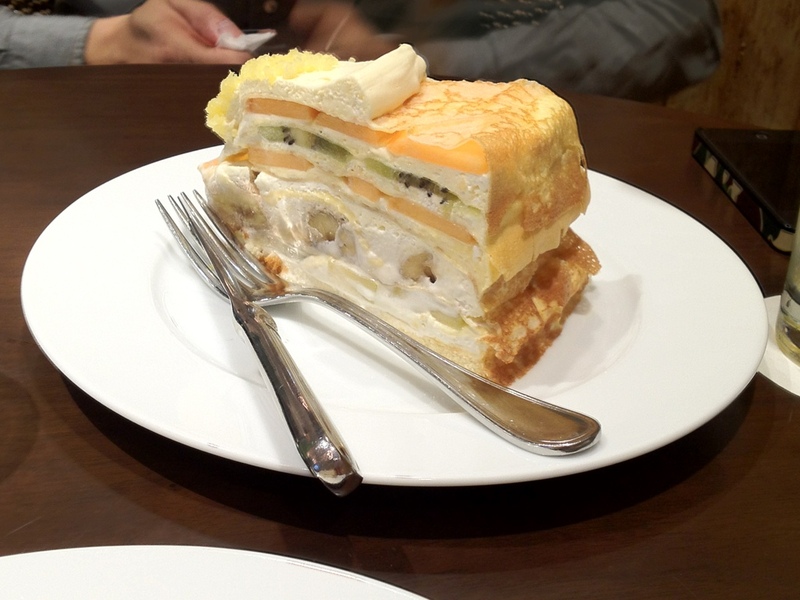 My companion ate the Mille Crêpe cake, with banana, cantaloupe, kiwi & apple fruit filling. This was an interesting mix of fruits & custard. 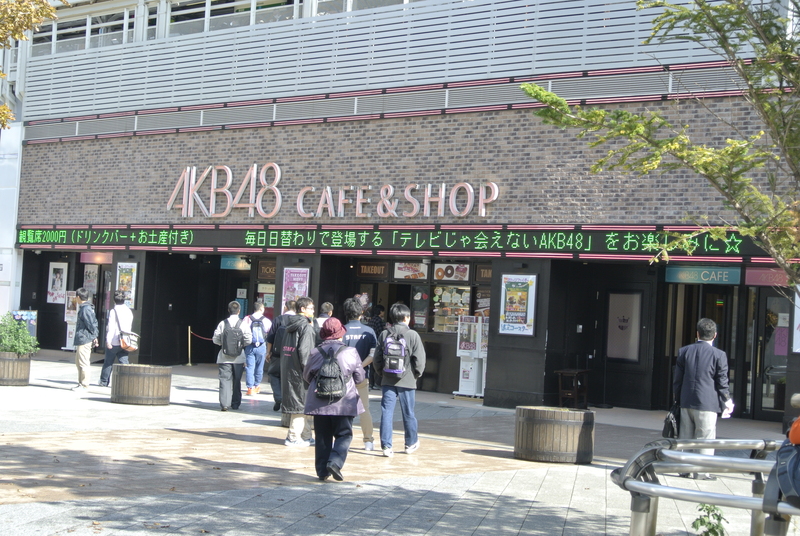 Oh & speaking of cafes, we stopped by Akiba on our last full day in Tokyo & just happened to pass by the official AKB48 cafe. For those of you who don’t know, AKB48 is an extremely popular female singing group from Japan who sing mostly anime-genre songs. They are considered an idol group, as each band member is a pop idol among all of their super fans. 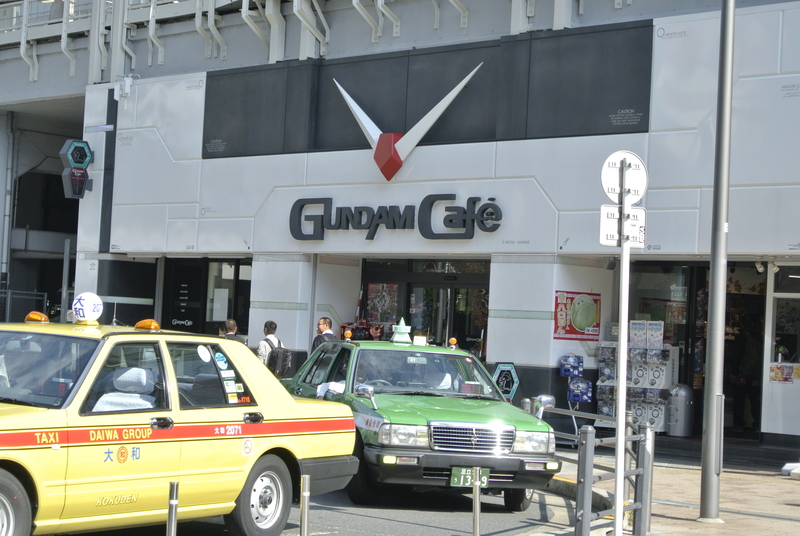 We also stopped by the Gundam cafe, which was right next door to the AKB48 cafe. In case you don’t know this one either, Gundam is a very popular, very legendary, very long-running robot anime series. (This is like the equivalent to Robotech.) Not only are the various anime cartoons/movies popular, but the DIY plastic model hobby kits are also extremely popular all around the world. I have also made a plastic Gundam model kit myself. Also got to experience some extravagant architecture all around Tokyo. 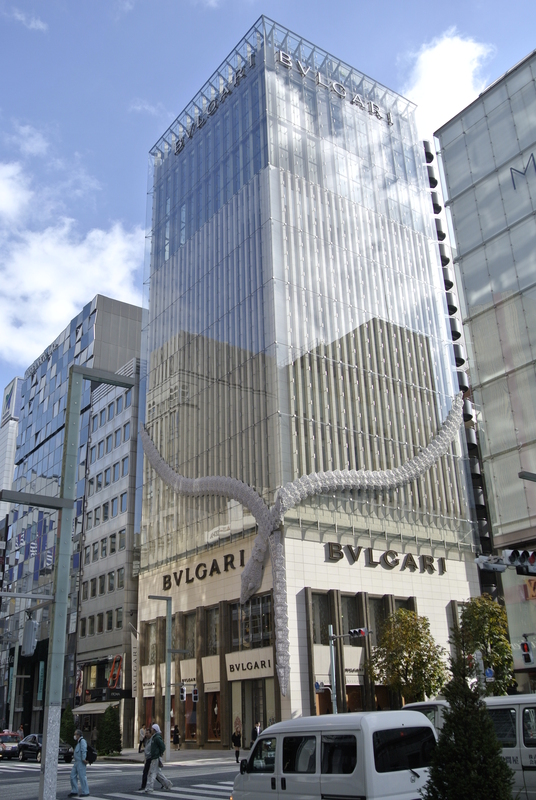 Here is the Bvlgari (Bulgari) store in Ginza. It has a diamond-like snake wrapping around the storefront like a diamond necklace. The snake is one of the animal symbols of the Eastern zodiac. In the Asian community, 2013 will mark the Year of the Snake. 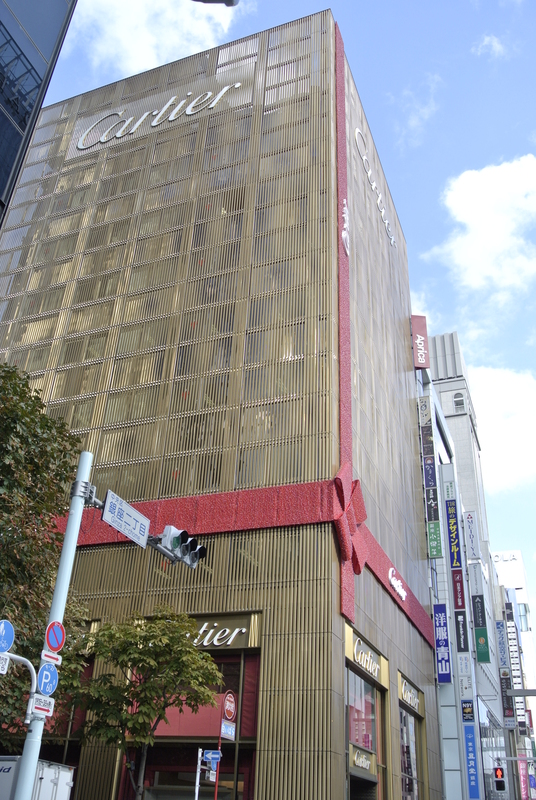 We also got to experience a lot of Christmas decorations being displayed all around town, like at this Cartier shop (also in Ginza), which looks like a wrapped gift. It seemed a bit odd to us Americanized folks to see Christmas decorations so early on, but I guess since the locals in Japan don’t celebrate a Thanksgiving type holiday, right after the Halloween decorations are being put away, the Christmas stuff goes up immediately. Well, that’s it for now. I’ll try to post some pictures of my stay here in China. So far, there hasn’t been much things of interest to see…unless you like pictures of mega shopping malls & high-rise apartments that look like they came from a cheesy 1990s movie set. Otherwise, cheers!